Irregular Choice is a fashion brand originally founded in Brighton in 1999 and specialises in unusual footwear, bags and accessories that are sold all over world. 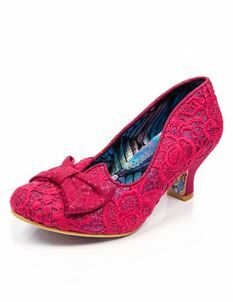 From quirky to vintage retro styles, Irregular Choice will definitely make you stand out from the crowd. Shop Irregular Choice Shoes below.